"Goodbye to Love" - (8:00-8:00 p.m. 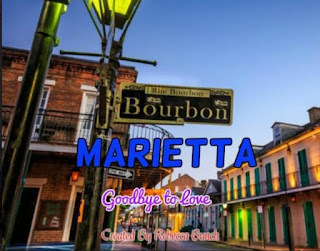 ET) - Marietta's husband Danny and son, Kyle, leave for Sierra Leone to do some humanitarian work, leaving Marietta depressed and lonely in D.C.
LOVE IS A HARD THING - Marietta's husband, a longtime humanitarian, takes one of his traditional trips to Africa, along with their son. This leaves Marietta, now a lame duck in the US Senate, alone in Washington. Her friend and colleague Tammy Yarborough helps her get through her hard times, with Marietta even spilling a few secrets to her. Meanwhile, Milton also spills a secret to Patty Lynn and Martin, who are less than enthused - premiering on The TV Ratings Guide website, Monday, January 15th.